“Safe!” yells the umpire as the runner slides home. Safety. It’s a primal, basic need. We need shelter where we can be free from harm. We need security and stability. These needs are so deeply a part of us that Abraham Maslow, the psychologist, when he constructed his hierarchy of needs, put safety after food and drink. In other words, only eating and drinking are more important to us as human beings. Safety is shelter. And our shelter is our home. No wonder it is so hard for people to consider living with an unknown person. It goes to the core of who we are. There’s a natural contradiction between the safety of home and living with someone who is not yet known, the two do not fit with each other like a hand in a glove. So I’m saying that I get it. I do understand. AND I still believe that there are huge benefits for single people to share housing with someone that they like and respect. In fact, I believe that a good home-mate provides a level of safety in one’s life that living alone does not. You can read about people who have chosen to share housing, all kinds of people and all kinds of situations in the blog section called Real People Sharing Housing. What’s awkward is getting from here to there. How do you learn to trust yourself that you will say “yes” to someone who will in fact be a good match? And trust yourself to say “no” to someone who isn’t? How do you learn what you should be paying attention to and what is not important? We have resources for you. You could take our webinar , Discovering Shared Housing, to help you understand how sharing housing can work for you. We also have a book and workbook. You could bring us to your community to teach about this. We offer in-person workshops through our nonprofit. 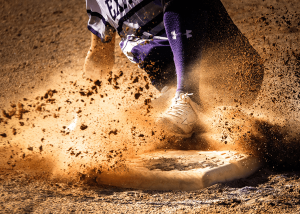 The baseball player runs to base and slides in safe only after stepping up to the plate and swinging at the ball. If we live our lives without taking any risks, without trying, we don’t get a chance to win. We have to step up to the plate. Of course, baseball players have coaches. Teams have coaches. What about you? 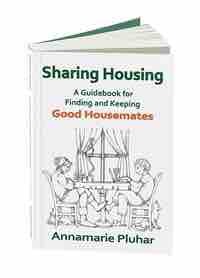 What would it take for you to step out and look for a home-mate? How would your life be improved if you were living a a person who is compatible enough that you are all comfortable?